The Leopoldina was founded in the city of Schweinfurt on 1 January 1652 under the Latin name Academia Naturae Curiosorum, sometimes translated into English as "Academy of the Curious as to Nature." The four founding members were physicians, namely Johann Laurentius Bausch, first president of the society, Johann Michael Fehr, Georg Balthasar Metzger, and Georg Balthasar Wohlfarth. In 1670 the society began to publish the Ephemeriden or Miscellanea Curiosa, one of the earliest scientific journals and one which had a particularly strong focus on medicine and related aspects of natural philosophy, such as botany and physiology. When Adolf Hitler became Germany's chancellor in 1933, the Leopoldina started to exclude its Jewish members. Albert Einstein was one of the first victims, more than 70 followed until 1938. Eight of them were murdered by the Nazis. In November 2007, German science minister Annette Schavan announced the renaming of the Leopoldina to "German Academy of Sciences" (Deutsche Akademie der Wissenschaften), and said that "due to its international prestige, the Leopoldina is predestined to represent Germany within the circle of international academies." As the German Academy of Sciences, it is a counterpart to the rights and responsibilities of institutions such as Britain's Royal Society and the United States' National Academy of Science. 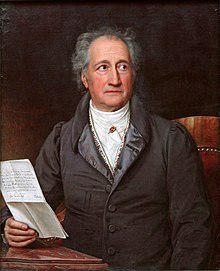 The Leopoldina is the first and foremost academic society in Germany to advise the German government on a variety of scientific matters, for instance on climate change. Three quarters of the members are from German-speaking countries (Germany, Austria, Switzerland) and one quarter from about 30 other nations. The election to membership of the Leopoldina is the highest academic honour awarded by an institution in Germany. As of early 2014, a total of 169 Nobel prize laureates are fellows of the Leopoldina. The asteroid 893 Leopoldina is named in its honour. ^ Some societies covering only specific disciplines are older (e.g. the Royal College of Physicians was founded in 1519) and the Royal Society started informally in 1646 and received its charter in 1662 so is sometimes considered the oldest. Wikimedia Commons has media related to German Academy of Sciences Leopoldina. German Academy of Sciences Leopoldina, official website. Miscellanea curiosa on the Biodiversity Heritage Library.